Directed by Ken Russell | UK | 111 mins. 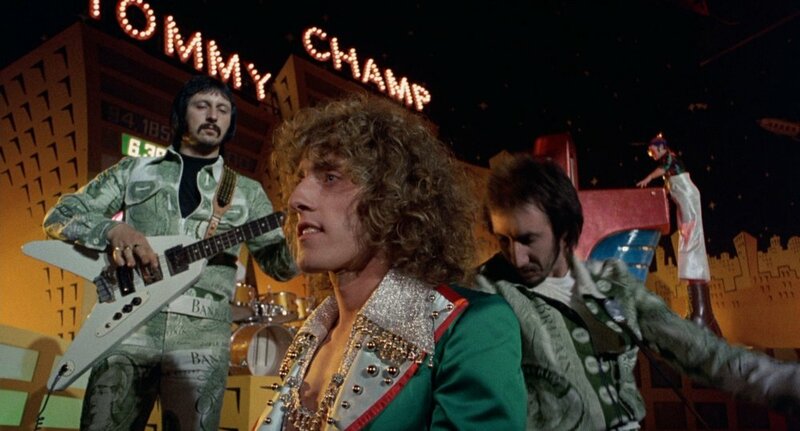 After fashioning many provocative and scandalous film biographies of classical composers in the 1970s, director Ken Russell turned his gaze to contemporary music, adapting The Who’s rock opera Tommy. In doing so, Russel created his most enduring commercial success. Even longtime critics of Russell were forced to admit his signature hallucinatory style was now an indelible influence on the world of film. Detailing the travails of the “deaf, dumb, and blind” pinball-playing kid Tommy (played by The Who’s lead singer Roger Daltrey) and his fame-hungry, loving mother (legendary actress-singer Ann-Margret), while featuring a dazzling international cast of rock icons (Pete Townsend, Elton John, Tina Turner as the Acid Queen, and a singing Jack Nicholson! ), the rollicking Tommy broke the box office and helped encourage a thousand imitators, not the least of which was MTV itself.